Before your city goes to sleep, you might head out for a walk, your dog at your side as you go out the door and into the almost-night. Anything can happen on such a walk: you might pass a cat, or a friend, or even an early raccoon. And as you go down your street and around the corner, the windows around you light up one by one until you are walking through a maze of paper lanterns, each one granting you a brief, glowing snapshot of your neighbors as families come together and folks settle in for the night. 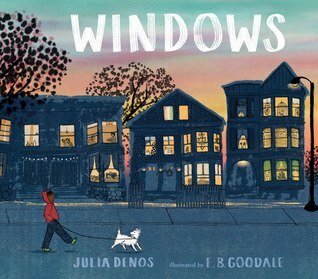 With a setting that feels both specific and universal and a story full of homages to The Snowy Day, Julia Denos and E. B. Goodale have created a singular book — at once about the idea of home and the magic of curiosity, but also about how a sense of safety and belonging is something to which every child is entitled. In this ode to the joys of living in calm, peaceful, and safe residential neighborhoods, a young boy takes his dog for a walk. As he walks through the neighborhood, he takes a peek inside the lives of his neighbors, through their windows. I enjoyed the story, but my favorite part was by far the exquisite illustrations. It was fun reading the text and then looking for the windows showing the various described activities. In some ways this is an I Spy book, allowing the reader to catch a glimpse of what the people in the neighborhood are doing at twilight. The detailed illustrations make this especially appropriate for one-on-one reading and sharing and discussing. Would that all neighborhoods were like this one. 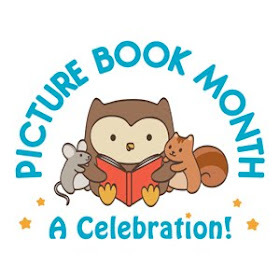 This is a story about a mouse and a duck who get swallowed by a wolf. and was quickly gobbled up. When a woeful mouse is swallowed by a wolf, he quickly learns he is not alone: a duck has already set up digs, and, boy, has that duck got it figured out! Turns out it’s pretty nice in there, with delicious food and elegant table settings, courtesy of the wolf’s unchecked gluttony. And there’s something even better: no more fear of being eaten by a wolf! 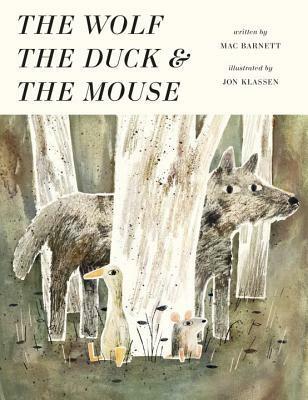 In fact, life is pretty good, until a hunter shows up. . . . With a nod to traditional fables and a wink to the reader, the award-winning Mac Barnett and Jon Klassen offer a tale of cooperation and creative cuisine that is sure to go down easy. Mac Barnett has done it again. Created a story so unusual no one else could possibly have come up with it. Most creatures would find being swallowed by a wolf to be a bad thing, but the duck and mouse decide that it's not so bad. Somehow the two avoid being eaten and turn the wolf's belly into quite a comfortable home. When a hunter threatens their home, the duck and the mouse find they may have to stand up for what they have claimed as their own. Jon Klassen's dry, neutral illustrations perfectly complement the tongue-in-cheek nature of the story. This book works especially well with older readers who can appreciate the ironies inherent in the story. 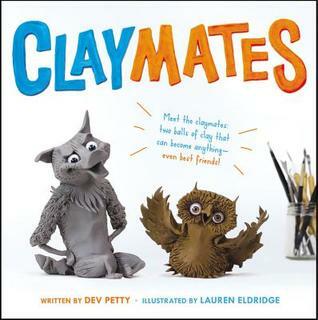 Meet the claymates: two balls of clay that can become anything--even best friends! This book is not only really funny, but the amazing illustrations do so much of the work. The characters are sitting on an artist's desk waiting for her to shape them, they are blobs of clay after all. One is friendly and open, the other worried and nervous. After the artist provides them a shape, they start experimenting, but things get out of hand. One of my favorite things about the book is the facial expressions the illustrator gives the characters, combined with the back and forth dialogue and you have a winner of a book. After sharing this book with a number of classes (older and younger), it's safe to say this is one of the best books of 2017. I love to take walks at night and see glimpses in windows. Sounds like I should read Windows!